Cecil Mosenson attended Overbrook High School where he was an outstanding player. 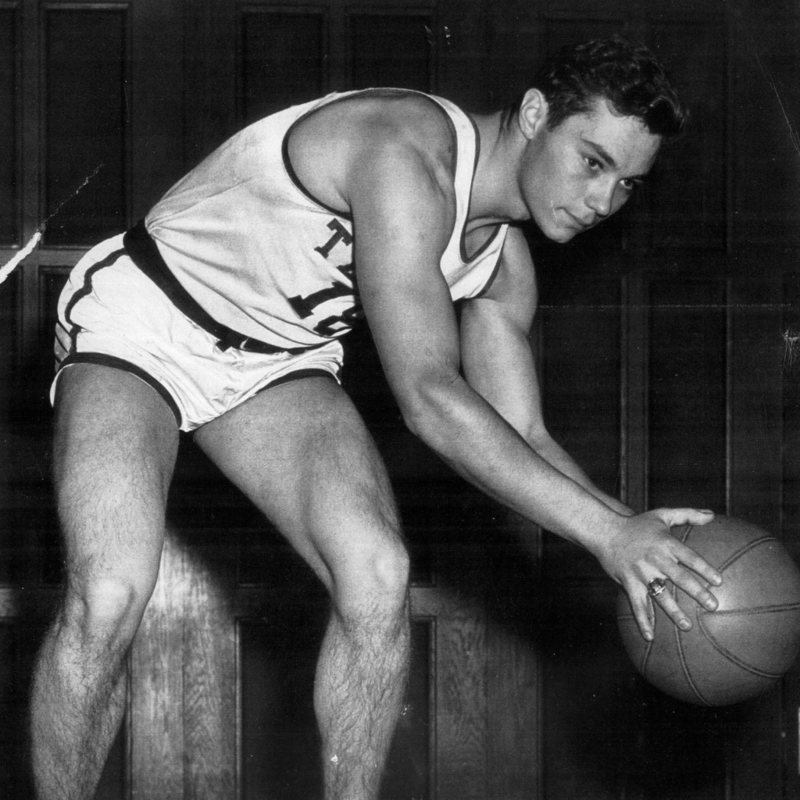 He played varsity basketball for Temple University from 1949 to 1951. He toured briefly with the Washington Generals playing against the Harlem Globetrotters, and also played in the Eastern Professional Basketball League. At the age of 22, Cecil was named the varsity basketball coach of Overbrook High School. His 1954 team led by Wilt Chamberlain was voted the “Best Ever Philadelphia Team” by the Philadelphia Daily News. His high school coaching career in Philadelphia included two Public League championships and two City Championships as well as several national tournament championships. In 1957, Cecil was named the basketball coach at Upper Moreland High School where he coached for 15 years. He was then appointed to the position of Principal at Tredyffrin/Eastown Junior High School where he remained for 15 years. President Ronald Reagan personally presented his school with a national award for “Excellence in Education.” When he retired as principal, he became the head coach at William Tennent High School. He remained there for 10 years. In 1990, Cecil coached of the United States 14-16 year old boys basketball team that won the gold medal in the European Maccabi games in Scotland. Subsequent to his retirement, Cecil wrote and published many articles on education and a novel based on his experiences as a principal. He appeared on national television and was interviewed by Sally Jesse Raphael.